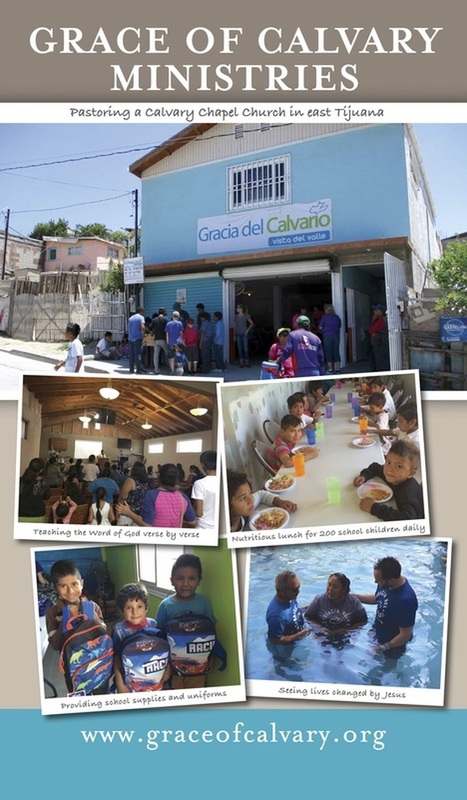 Through the help of many friends and supporters we have been serving in Tijuana since 2006 to help meet physical and spiritual needs of children and adults in Mexico. In 2011, God placed us primarily in Vista del Valle, Tijuana, Mexico to pastor a new Calvary Chapel (Christian) church where Pastor Jose Luis teaches the Word of God verse by verse which is not common in our area. We have a thriving youth ministry, wonderful worship band and Cindy serves in Children's Ministry, Women's Ministry and Mercy Ministries. The Mercy Ministries we have are the Tijuana School Program, 3 Lunch Kitchens for 175 kids per day, some medical needs and small construction projects. We report directly to Horizon Ministries in Ensenada and are a church plant from Calvary Chapel Rosarito. If you would like to partner with us financially you may do so online or "Contact Us". It is an adventure following God.